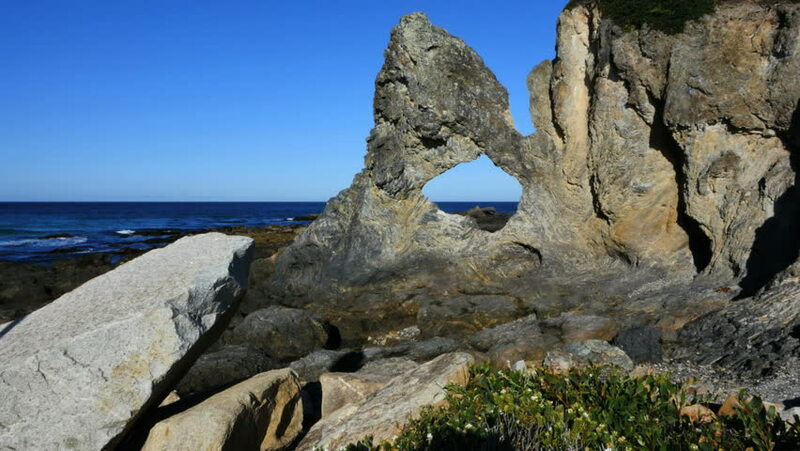 Shrubs form a green foreground for a view of a rock with a hole shaped like Australia. 4k00:21A bird flies across a deep blue sky beyond a rock with a hole in it shaped like Australia. 4k00:10Waves attack a natural stone arch on the Great Ocean Road.